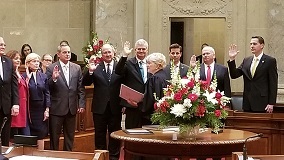 MADISON – Senator Jeff Smith (D-Brunswick) was sworn into office Monday as the 31st District Senator during the opening session of the 104th Wisconsin State Legislature. 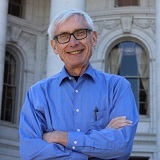 “I feel humbled and honored to represent our Western Wisconsin values in the State Senate. There is much work to be done, but together, we can make our state a great place to live, work and raise a family. The 31st Senate District includes all of Buffalo and Pepin counties and portions of Trempealeau, Pierce, Dunn, Eau Claire, Chippewa and Jackson counties. Mark Bender, Mitch Greenberg, Morgan Newcomb, and Sarah Semrad get new jobs joining continuing staff in State Senate Democratic Leader's office. 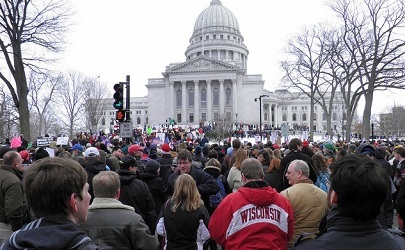 MADISON – Several new staffers will be joining Senate Democratic Leader Jennifer Shilling (D-La Crosse) in her legislative office for the upcoming 2019-2020 session. 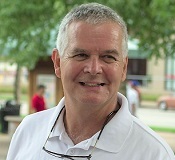 Tony Palese, will serve as Chief of Staff to Senator Shilling. Tony has over a decade of experience in Sen. Shilling’s office serving as Communications Director and Policy Analyst. Mark Bender, who previously worked for Rep. Mark Spreitzer (D-Beloit), has joined the Shilling office as the Legislative Director. Mark has years of leadership and policy experience in Rep. Spreitzer’s office, serving families in the 45th Assembly District. Mitch Greenberg, a former Shilling intern and Field Director for the State Senate Democratic Committee will join as a policy analyst. Morgan Newcomb, who most recently worked as a Shilling intern will be joining the team as Constituent Relations Manager. Sarah Semrad, a former Shilling district intern and recent graduate of the University of Wisconsin - La Crosse will serve as the District Representative. Kate Constalie and Steven Worley will continue in Shilling’s State Capitol office.